Indian Vegetarian dishes are always among the leading cuisines of the world. With every state, city and even every home having its own recipes for thousands of dishes, one can imagine the variety of Indian food….that is absolutely amazing! Contrary to popular belief, Indian cuisine is not just about curry, chillies and oil! 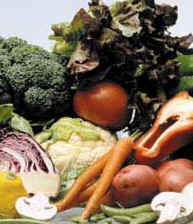 There is probably no other cuisine in the world that includes as many healthy and diverse vegetables and spices. Indian cooking is often distinguished by the use of a larger variety of vegetables than many other well-known cuisines. Within these recognizable similarities, there is an enormous variety of local styles. All coastal kitchens make strong use of coconuts. The desert cuisines of Rajasthan and Gujarat use an immense variety of dals and achars (preserves) to substitute for the relative lack of fresh vegetables. The use of tamarind to impart sourness distinguishes Tamil food. The Andhra kitchen is accused, sometimes unfairly, of using excessive amounts of chilies.